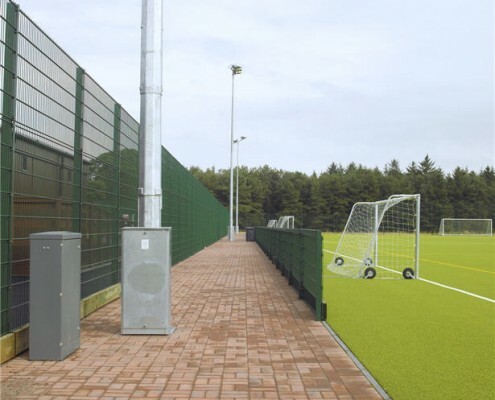 Shown here is around an all weather Multi Use Games Area (MUGA). It has a bottom rebound board and steps from 3m to 5m high behind the goals. 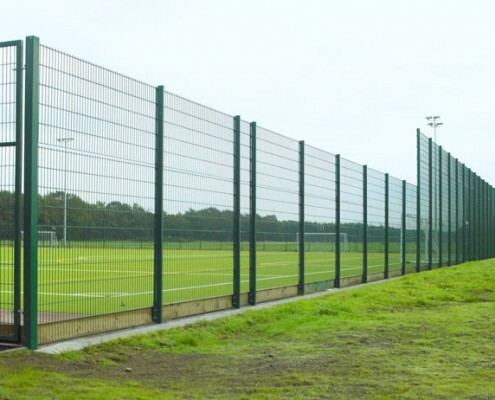 See also Twin Wire Welded Mesh Fencing for more applications of sports fencing. Below it is shown with a spectator barrier. 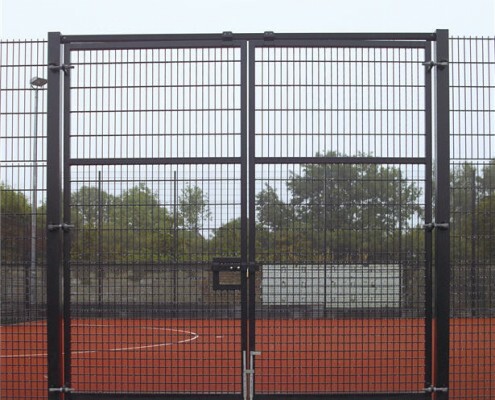 Shown below is a gate for sports fencing to match the mesh used elsewhere. 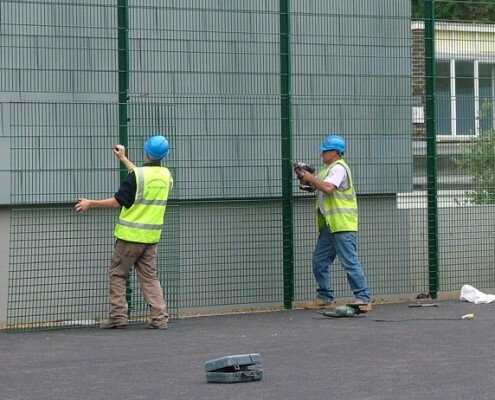 Note that this fence has extra wires to the bottom 1.2m to act as a rebound panel. 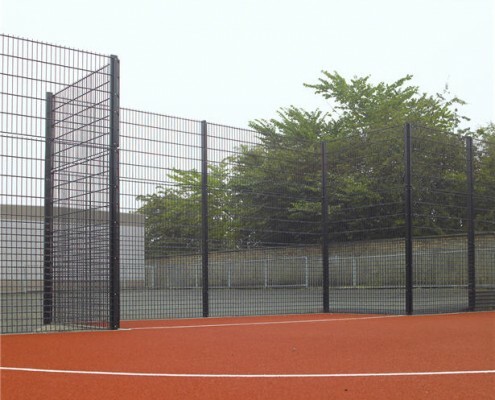 Here is an example of a MUGA being erected at the St Matthey Academy, Blackheath, Kent. Why did we choose the two shortest fencers to erect this? ?